N.A.P. 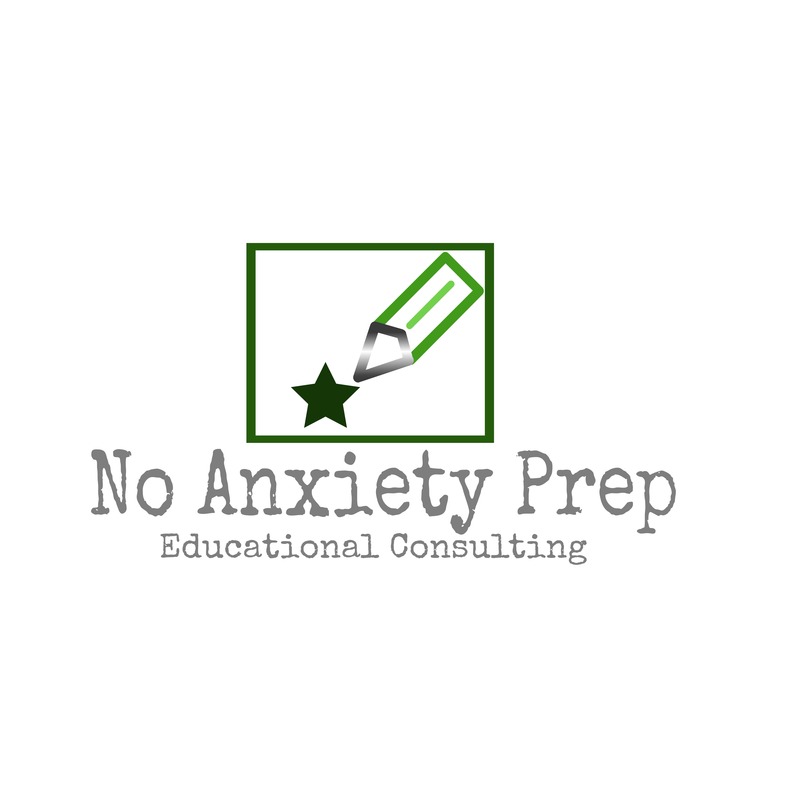 International, No Anxiety Prep, is excited to provide a dynamic, experienced and caring one-stop shop for college, graduate school and occupational needs. N.A.P. International provides premium one-on-one and small group test preparation services as well as academic and occupational counseling services both domestically and internationally. With years of journalistic and educational experience and hundreds of success stories, N.A.P. International has the dedication, experience, proven track record to help you achieve your goals, but in a setting that values each unique student. 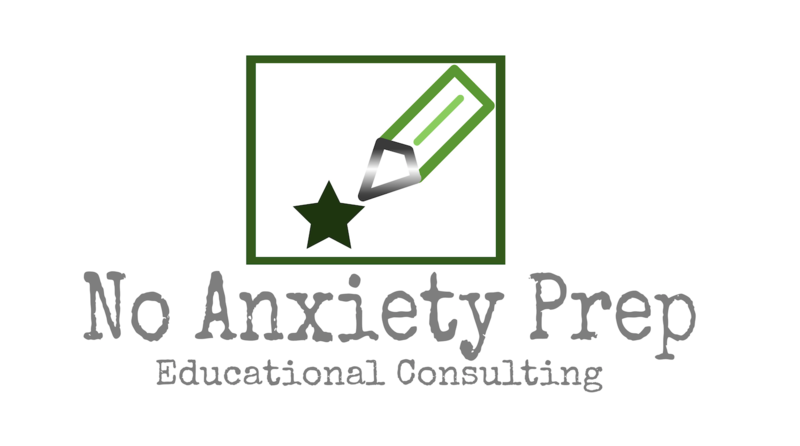 We aren’t a test prep factory churning out clients, disregarding their specific needs and goals; we’re a smaller company with better credentials, more empathy and the background to achieve those goals. We specialize in test preparation, essay and application assistance, college counseling and resume/cover letter services; we believe each student and job seeker has a story to tell, and our goal is to help you convey that story in a stand-out way: your way. Let us help you make one of the most important decisions of your life with the best information available. Best of all, we can come to you! Why Hire A Private Educational Consultant? Why will your child benefit from a personal counselor? Well, did you know guidance counselors spend an average of 38 minutes per student, per year on college counseling according to “Counseling and College Counseling in America’s High Schools”? Yikes! In fact, many of them, while well-intentioned, are not experienced in the world of college admissions and don’t know how to play “the game.” Additionally, many are driven by outside and conflicting interests, such as their employer’s desires (the school), which may not match up what is best for your child. As independent educational consultants, our job is to help your family achieve its goals. Period. Why Hire A Private Occupational Consultant? Today’s job market is as competitive as it’s ever been. An unstable economy, a market flooded with more college graduates than ever and the shrinking of certain fields have contributed to difficulty in attaining employment for many. Let us help you craft or tweak a resume that gets you noticed, not tossed in the boss’ trash basket. We can also help you perfect your public speaking skills so once you secure that interview, you’ll go in feeling confident and ready to be hired! Nikkee is a fabulous teacher. She is passionate, intelligent, and truly cares about each student's score improvement. She not only helped me improve my scores, but also helped me improve my confidence. I walked into the test feeling strong, and positive. My score improved 550 points between my first test and my final score. Overall Nikkee taught me how to confidently conquer the test and to create a positive atmosphere surrounding the SAT. Nikkee was quite helpful, even though we were "long distance". Nikkee, whom I met in Italy, gave excellent advice to find a college that "fit" my child's academic interests and campus living criteria, and encouraged my daughter to be upbeat and think positively when approaching her common application. She also described how transferring after freshman year could be a strategic way eventually to find the right "fit". She encouraged my daughter to write from the heart and in her own voice. 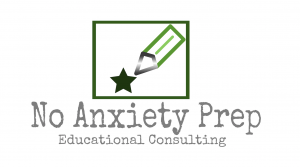 No Anxiety Prep’s tutors are highly effective, thoughtful, and flexible mentors. My son responded so strongly to his tutor’s sincerity and positive attitude. I saw marked improvements not only in his test scores, but in his grades in school, and his overall outlook toward the future. Nikkee played an integral role in my college admissions process. She not only helped keep me on track with all the essays but she also boosted my confidence. Nikkee does her research and always came prepared. I was so fortunate to have her help and expertise. Nikkee was the biggest support I had when applying to college and I owe everything to her. Having grown up with two parents who did not know much about college it was hard for me because I was really on my own. However, Nikkee made a huge difference. Originally only supposed to read over my essays, she took it upon herself to help me research different colleges and help me apply for every single school; I can never thank her enough. She did more than just help me academically. She also was a person that I could call at anytime if I had questions or even just to talk because I was stressed. Thanks to her I got into my first choice school and have never looked back! Without a doubt, the best tutor I've ever had. Alexan effectively taught me what I needed to know to take the SAT in a clear and concise manner. Thanks to his constant enforcement and encouragement, I scored 400 points higher on my second SAT and as a result I am now going to one of the top 30 colleges in the nation. Nicole M. was the perfect tutor for me because she was laid back but knew how to push me just enough. She is the smartest tutor I’ve ever had, and her positivity and emphasis on being prepared allowed me to go into my ACT without fear and score over a 30. "((Student)) got a letter in the mail from Yeshiva University congratulating (student) on becoming a Dean's Scholar. Thank you very much to them for the always helpful scholarship and THANK YOU as well!!!!!!" Nikkee Porcaro made studying for the SAT enjoyable – and I’m not kidding. After attempting the test twice, I was very unsatisfied with one area of the test and began looking for ways to improve my score. I met with many tutors before finding Nikkee and was growing increasingly frustrated and impatient about my stagnant, mediocre scores. When someone recommended Nikkee to my mom and I, I was very reluctant to meet with her as other tutors were bland and boring, and I was starting to believe I would have to settle for my original scores. After the first meeting with the bubbly, enthusiastic Nikkee, she had changed my entire attitude about the test and instilled a newfound confidence about defeating the SAT. Rather than dreading tutoring sessions with Nikkee as I would with any other tutor, the hour with her felt like ten minutes and I left feeling much less stressed. Because she was so incredibly helpful with the SAT, I also sought her help with my college essays. While writing is my worst nightmare and it can take me days to write short essays, I was able to compose a complete supplement essays in one sitting. She also sparked unparalleled creativity in me for my Common Application essay of which I was very proud. Without her tremendous help, my college application process would have been a disaster and I would still be unhappy with my SAT scores. Additionally, I still use the tools she taught me for writing now and believe she was the reason why English class in college was a breeze for me when it was always a challenge for me in high school. Thanks again so much for all of your assistance leading up to the LSAT and submitting my applications. I was accepted at Catholic and American and both schools offered me approximately $100k in scholarships. Y'all's help was invaluable throughout this process!